Come to the Queens Museum for the culminating celebration of Queens Memory‘s “50 Years of Integration” series. Find your community on our giant puzzle map of Queens, have a free portrait taken with your neighborhood puzzle piece, and write your reflections on your home stretch of Queens to create an interactive testament to the most diverse place on the planet! Bridget Bartolini of the Five Boro Story Project, Annabel Short of the 30th Ave: A Year in the Life of a Street blog, and Ali Toxtli of People’s Collective Arts will lead hands-on activities exploring the themes of migration and diversity. This event is Queens Memory’s culminating celebration of their NEH-funded “50 Years of Integration” series. 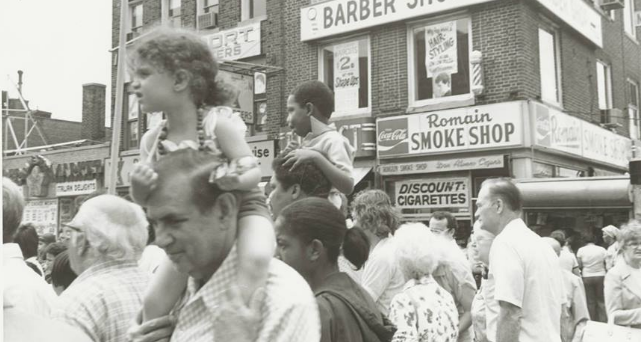 Archival photos relating to the history of diversity in Queens will be on display, along with archival highlights from Queens Memory’s community events in Astoria, Flushing and Corona. Queens Museum is located at the Flushing Meadows Corona Park New York City Building, Queens, NY, 11368. For directions to the museum, CLICK HERE.